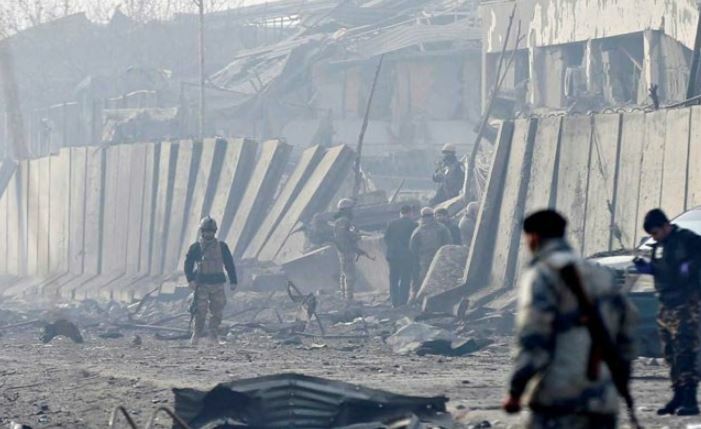 An Indian national was among those killed in the terror attack in Afghanistan's capital on Monday, the Ministry of External Affairs said and called for the perpetrators of the assault as well as those who provide them shelter to be brought to justice expeditiously. New Delhi: An Indian national was among those killed in the terror attack in Afghanistan's capital on Monday, the Ministry of External Affairs said and called for the perpetrators of the assault as well as those who provide them shelter to be brought to justice expeditiously. A bomb exploded near a heavily-fortified foreign compound in Kabul, killing at least four people and wounding over 100. The Taliban on Tuesday claimed responsibility for the attack in Kabul that ripped through surrounding neighbourhoods. "India strongly condemns the horrific terror attack in Kabul yesterday in which an Indian national and many others lost their lives," the Ministry of External Affairs (MEA) said in a statement Tuesday. The Indian Embassy in Kabul is taking steps for repatriation of the mortal remains of the Indian national, the MEA said. "We express our sincere condolences to the families of the victims of this cowardly attack and wish early recovery to the injured," it said.